With Christmas just around the corner and the first BER month about to end in two weeks, I was expecting a cooler weather. 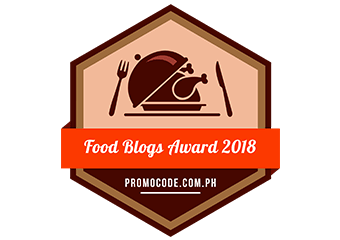 But instead of sporting sweaters and jackets, I was still in my summer dress as I try to look for shelter, not from the rain, but from the scorching Manila heat. Yes, summer is still far from over and I sure am glad that we have Dairy Queen to save us from having a literal meltdown. 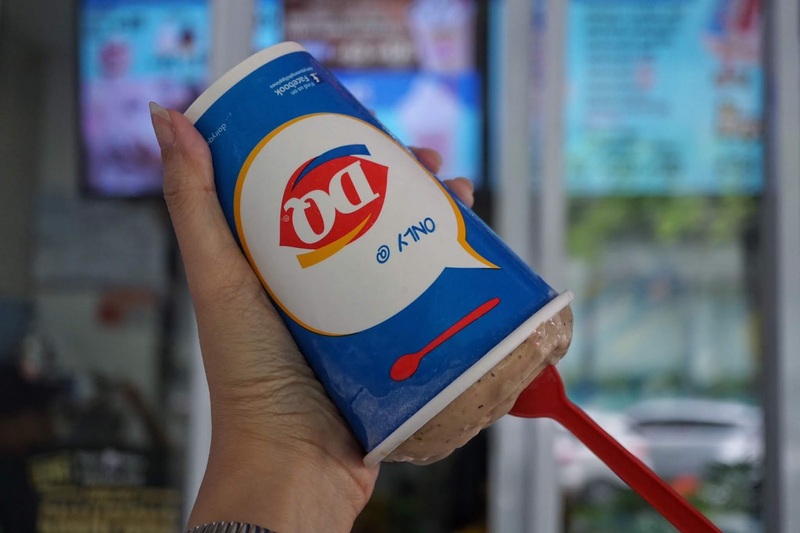 Dairy Queen has been one of my go to places for frozen treats. 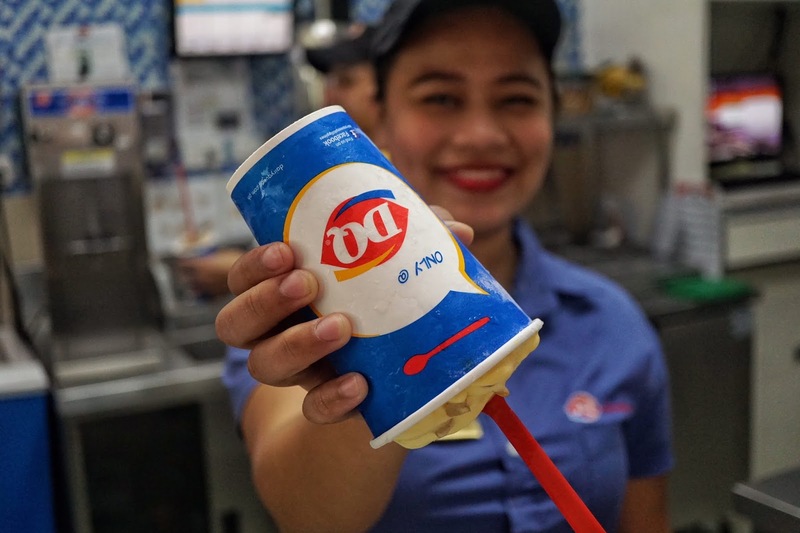 As the only brand I know that serves its ice cream upside down, it would be hard to forget DQ (as most of us fondly call it). 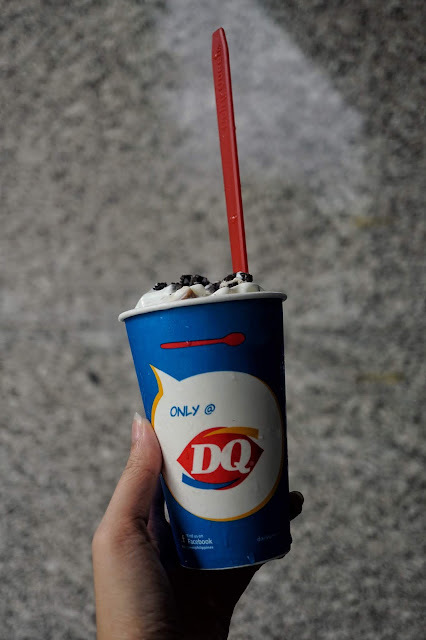 I was invited to the launch of its Cheesecake Blizzard flavors and got to try Oreo Cheesecake, Mango Cashew Cheesecake and Brownie Mocha Cheesecake. 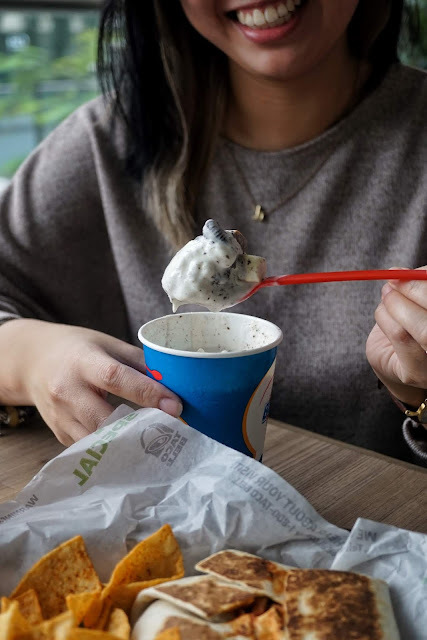 I usually stick with the classic Oreo Blizzard and was never really adventurous with DQ flavors. 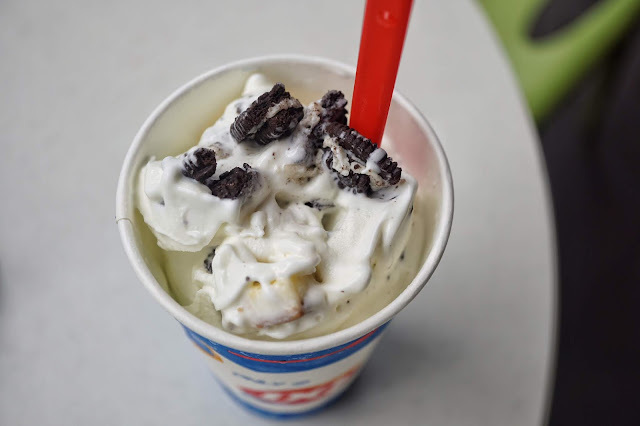 But I loved its Oreo Cheesecake Blizzard. It was just like my favorite but had more texture because of the cheesecake bits. The slight tart from the cheesecake also made it extra good. If you prefer something more chocolatey, go for Brownie Mocha Cheesecake. 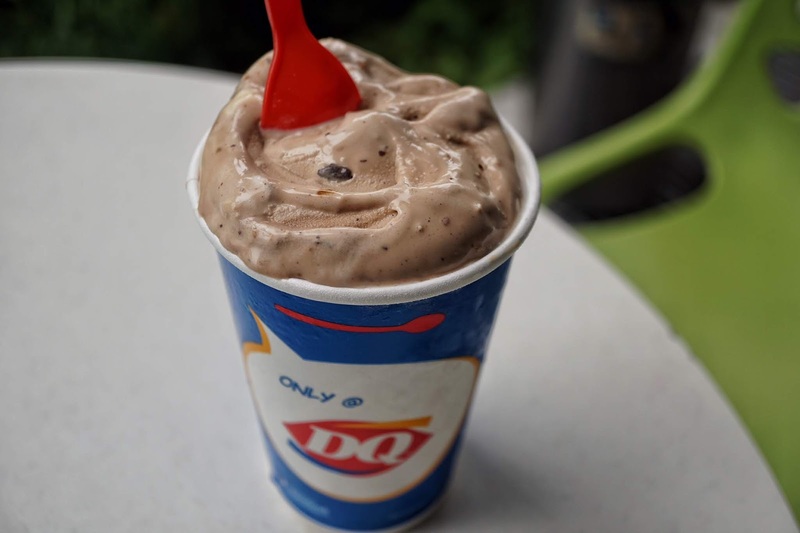 I found it a bit too sweet for my liking but chocolate lovers will surely enjoy this flavor. But if you fancy fruity flavors over chocolate, Mango Cashew Cheesecake would be a great option for you. It's very nutty too and cashew lovers would go nuts with the fact that DQ is very generous with its serving of cashew. I was pleasantly surprised that not a single spoonful had none. 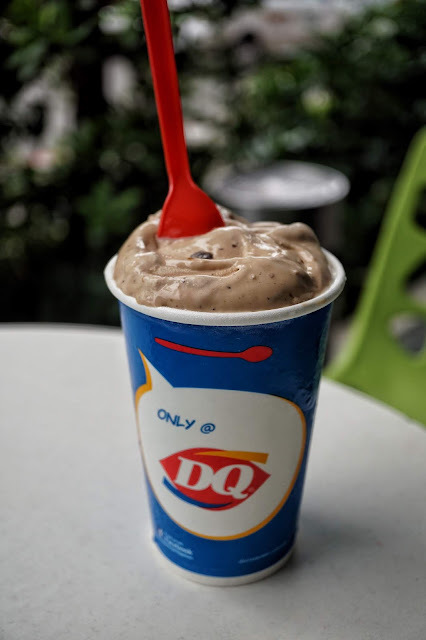 I'm just not too sure if these flavors are still available in the market but if ever it's not, you could always go back to the classic Blizzard flavors or grab one of those ice cream sandwiches or Dilly Bar! 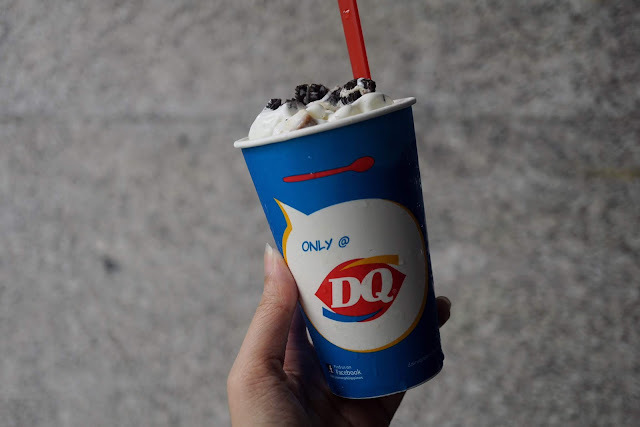 Dairy Queen is available nationwide.